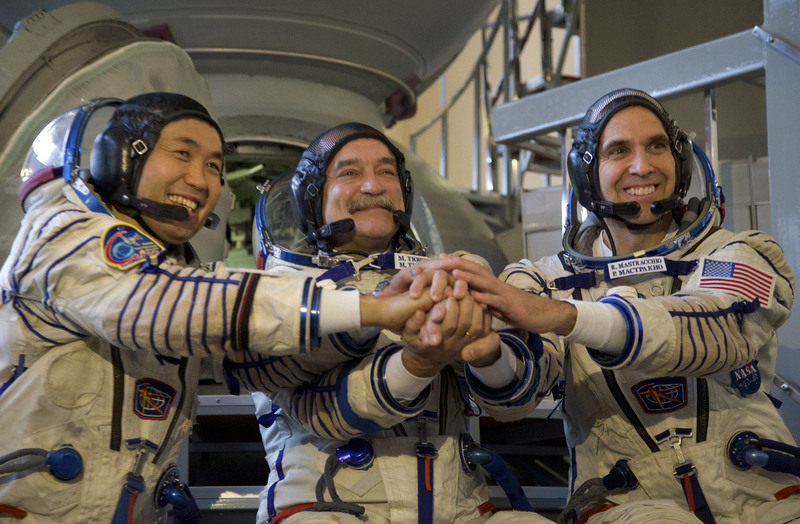 Astronaut Koichi Wakata is set to ride a Russian Soyuz rocket to the International Space Station, where he will do a six-month stint as its first Japanese skipper, the Japan Aerospace Exploration Agency said Thursday. 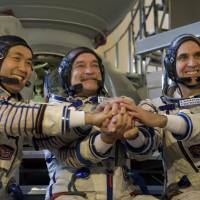 Wakata, 50, and two colleagues, from Russia and the United States, are expected to blast off from Baikonur Cosmodrome in Kazakhstan on Nov. 7 at 1:14 p.m. Japan time and dock with the ISS about six hours later, JAXA said. Wakata will remain on the ISS until May and captain the station for the final two months of his stay. He will perform experiments in space medicine, release a micro-satellite developed in Japan and communicate with a talking robot that was sent to the ISS in August. It will be Wakata’s fourth trip to space and his second extended stay on the ISS. On his first 4½-month mission in 2009, he performed experiments that involved his own body.